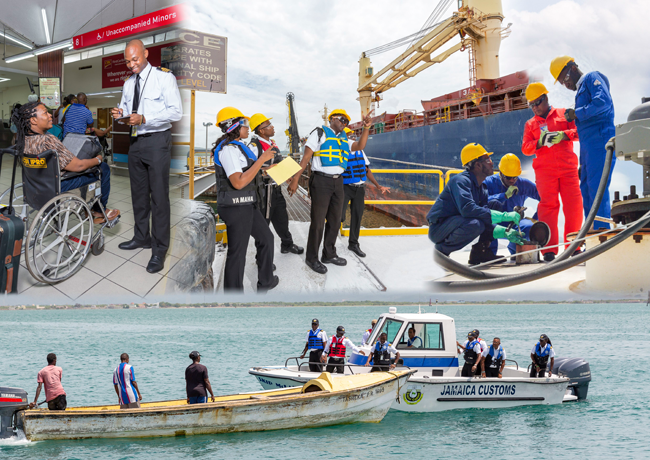 “Facilitating trade, protecting our people, building our country” is the caption of this year’s winning entry from Jamaica Customs. The photo shows officers getting on with different jobs in an efficient and friendly way. It illustrates the core values of Customer Service, Accountability, Professionalism, Integrity and Transparency (CAPIT), and the Agency’s motto ““Country Above Self”.